Disney Frozen Fleece Throw - Elsa & Anna Just $3.97! You are here: Home / Great Deals / Disney Frozen Fleece Throw – Elsa & Anna Just $3.97! Disney Frozen Fleece Throw – Elsa & Anna Just $3.97! 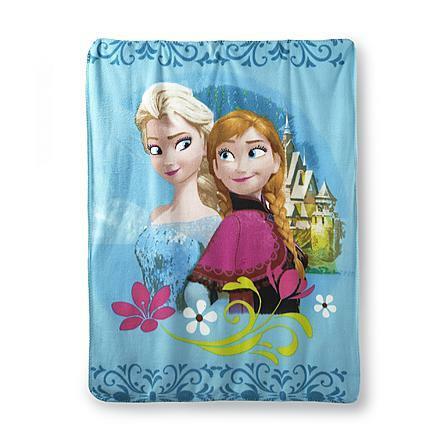 Sears has this Disney Frozen Fleece Throw – Elsa & Anna on sale for $3.97! Plus this throw is for FREE in-store pick up ONLY and may not be available for everyone! Perfect for family movie night, this fleece throw by Disney provides a warm and cuddly TV-watching partner. Constructed from soft fleece, this throw features Anna and Elsa from “Frozen.” Their castle stands in the background. Stitched trim ensures this pretty throw stands up to dozens of movie screenings for years to come.